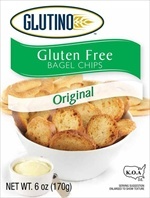 Glutino Bagel Chips are now available in Original and Parmesan Garlic flavor. These bite size gluten free bagel chips are perfect for snacking and dipping. Bell Plantation PB Thins are now available. From Bell Plantation, “What if you could take all of the great things about PB2 and roll them into a great tasting, healthy snack? That’s exactly what Bell Plantation did with PB Thins. 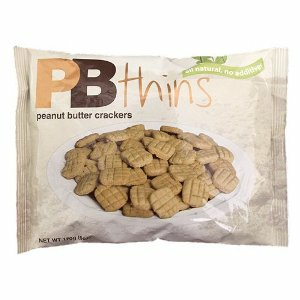 These newly designed PB Thins are easier to grab a handful of and enjoy!” Each serving has only 12g net carbs and 3 diet count plus. 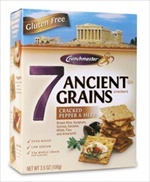 Crunchmaster 7 Ancient Grains Crackers are now available in Hint of Sea Salt and Cracked Pepper & Herb flavors. These crunchy crackers are low calorie and gluten free. Perfect for dips or spreads. The Low Carb Vegan Diet: Is It Possible? Considering that low carb diets rely so heavily on meat and protein, is it feasible for a vegan to cut carbs, lose weight, and still maintain their dietrary restrictions? It would seem that veganism and the low carb diet are opposing forces in the world of diet and nutrition. While the low carb dieter relies heavily on the protein gotten from meats and some dairy, the vegan eschews both of these in the same of animal rights, opting instead for alternate forms of sustenance from vegetables, fruits, beans, and grains. As a result, the vegan must struggle to find creative ways of getting non-meat protein into their daily diet, and otherwise relies heavily on high carb intakes. Because we now know that most humans’ metabolisms cannot handle the high level of carbohydrates that are eaten in the modern western diet, it is no wonder that vegans suffer from overweight and obesity, in spite of the fact that their fat intake is often lower than individuals who do not limit meat and dairy. As we know, pasta, breads, and other carbs metabolize into sugar, which leads to overweight. So, for the vegan who is looking to lose and maintain a healthy weight, the low carb diet would in theory be an impossible choice. What foods, for example, would be available to a vegan on a low carb diet? For as much as the challenges for a vegan on a low carb diet are high, the fact is that the low carb diet still offers vegans a better option for losing weight than a low calorie diet: since the vegan already relies so heavily on the “quick fix” that carbs offer, eating a high carb, low protein diet is recipe for diet failure and lethargy. Beans and some whole grains are also factored into the eco-Atkins diet for protein, and as a result, vegan low carb dieters often do not garner the same level of ketosis that non-vegan low carb dieters experience, thus slowing down their weight loss. But on average, even vegan low carb dieters who have employed this version of the Atkins diet have experienced similar low term weight loss goals. If you’re a vegan looking for low carb diet foods, be sure to check out Linda’s Diet Delites! You’ll be amazed at how many low carb breads, mixes, and other items are actually vegan! Take a look! Posted on September 23, 2011 December 29, 2013 Categories Low Carb DietTags veganLeave a comment on The Low Carb Vegan Diet: Is It Possible? A recent study indicates that consumption of low carbs and high amounts of dairy leads to considerably flatter tummies among women. Anyone who already ascribes to the positive effects of a low carb diet knows that the fewer carbohydrates you eat, the less body fat you retain. but for as much as this is an anecdotal fact for many low carb dieters, very few clinical studies have gained mainstream traction in the U.S. medical community with respect to low carb dieting, thanks to a strong lobby from carb-rich U.S. food manufactuers. But a recent study is now gaining popularity in the press, which proves that a diet high in protein and low in carbs leads to a trimmer physique and less belly fat. McMaster Daily News reported on the finding, which was originally published by the Journal of Nutrition, which “compared three groups of overweight and obese, but otherwise healthy, premenopausal women. Each consumed either low, medium or high amounts of dairy foods coupled with higher or lower amounts of protein and carbohydrates.” By ensuring that these women exercised equally, they were able to compare the results diets with varying levels of carbohydrates. The results were compelling. This finding is significant, since it vindicates what Dr. Atkins espoused in his groundbreaking Diet Revolution: that low carb diets indeed burn fat, whereas low calorie diets’ results come more from water loss and muscle loss. The science behind these findings is simple: when the body doesn’t receive enough energy from carbohydrates in the daily diet, it draws instead from stores of fat within the body to make up for the loss. In this way, by reducing carbs in your diet, you’re forcing your body to burn that fat to make up the difference. Conversely, when you eat a high-carb diet, the body stores the extra fat mostly in the belly. The implications here are significant for the low carb diet community, which has had little supporting science in the mainstream medical and research community to back up its claims until now. While all low carb dieters can identify that these facts are true, the new report helps to corroborate what has been known for decades about carbohydrate consumption. To be sure, low calorie diets and heavy exercising also leads to weight loss as well, but it is being proven now that the body is less discriminating in shedding pounds in the form of water and/or muscle when depriving your body of calories. With a low carb diet, however, one’s metabolism specifically targets body fat as a reliable source of energy. Another component of this finding is that higher amounts of dairy were included in low carb diets as well. Dairy can be a tricky food ground for the low carb dieter, since, while some dairy products are safe on a low carb diet, others are to be avoided. As always, heavy cream, which has no net carbs, can be substituted for milk and even yogurt in many recipes. Also, hard cheeses are a great snacking option for the low carb dieter. 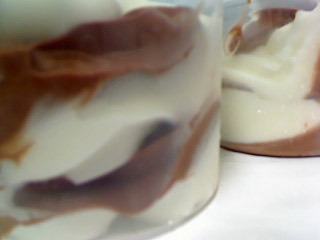 But since ice cream is a big dairy no-no, opting for low carb desserts can be a great alternative. Walden Farms has given Linda’s Diet Delites the privelage of being one of the very first stores to offer customers all the new flavors of Miracle Mayo. No longer limited to plain old mayo, you can now also choose from Ranch Mayo, Pomegranate Mayo, Chipotle Mayo, and Honey Mustard Mayo. All mayo flavors are still zero calories, zero fat, zero carbs, and zero sugar. Whether you eat a gluten free diet because you suffer from Celiac disease or are just one of the millions of Americans who suffer the side effects of being intolerant to wheat, eating out can be a minefield. Gluten free dieters have even more of a difficult job than low carb dieters when it comes to dining out, because wheat is used in so many food products, to thicken, flavor and stabilize food. Celiacs also have the added issue of cross contamination to contend with so have to be extra careful when it comes to dining out. Thankfully the catering world is fast becoming more aware of Celiacs and is starting to label their menus and products a lot better and train their staff to be aware of the needs of Celiacs, but it’s not always easy to spot foods that may contain gluten. 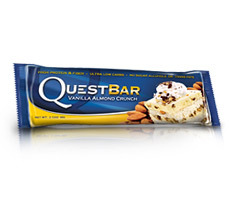 Make sure that you’re aware of the types of food products and meals which may contain gluten. Also be aware of foods that could have been cross-contaminated with gluten – ie fries that have been cooked in the same oil as breaded products. Most sauces unless labelled as ‘gluten free’ will probably have been thickened using some wheat product so it’s usually wise to give these a wide berth. Stick with foods you know won’t contain gluten – un-breaded meat and fish, potatoes, vegetables, rice and salad without dressing or croutons are usually safe bets. If in doubt ask your server to check with the chef. Local Celiac groups and internet forums will be a great place to find celiac-friendly restaurants. Don’t forget to spread the word yourself when you come across an eatery that caters for your needs. Ring a restaurant up in advance to ensure that they can cater for your needs, or ask them to email you a copy of their menu so you make sure you can order something you know will be gluten free. If you’re planning on going to an Italian restaurant – why not ring and ask if they’ll prepare some gluten free pasta for you, or take your own for them to cook along with one of their fresh sauces. If you are in any doubt as to whether a menu item may contain gluten you’ll need to get your server to check with the chef. Here’s a list of questions to ask that will ensure that you don’t accidentally consume any gluten. Does the Salad come with croutons? Can they be left off? What is in the Salad Dressing? Has the fish or meat been marinated – if so, what in? Has anything been dusted with flour? Are the French Fries cooked in the same oil as breaded products? Does the ice cream come with a wafer or cookie? Are the mash potatoes made from scratch or from a mix? Can this meal be served without the sauce? Sometime the best option will be to get the chef to prepare a piece of plain meat or fish with some side vegetables and potatoes. It won’t necessarily be the greatest culinary experience you’ll have, but it will ensure that you have a good night out with your friends or family and not have to worry about getting ill.